Hashim Sarkis was appointed Dean of the School of Architecture and Planning in January of 2015. 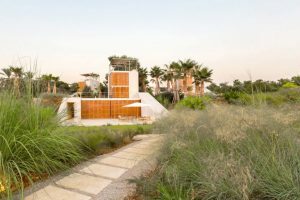 Prior to that he was at Harvard University Graduate School of Design (GSD) as the The Aga Khan Professor of Landscape Architecture and Urbanism. In addition to professorships at Harvard University and MIT, Dean Sarkis has held numerous visiting appointments around the world including the American University of Beirut and the Metropolis Program in Barcelona. In addition to his academic work, Dean Sarkis is principal architect in the Cambridge and Beirut based firm, Hashim Sarkis Studios, founded in 1998. His architectural and planning projects include affordable housing, institutional buildings, and town planning throughout the globe. His current projects include the recently completed Byblos Town Hall and the Courtowers which is under construction. Dean Sarkis has received many awards and honors including the Venice Architecture Biennale, US Pavilion featuring Byblos Town Hall, Housing for the Fishermen of Tyre, and the Balloon Landing Park (June-November 2014); and First Prize Award for the Byblos Town Hall Competition, Byblos, Lebanon (2011). His work has been published in the Phaidon Atlas of 21st Century Architecture with the Housing for the Fishermen of Tyre selected as one of the most significant buildings of the 21st Century (2008). He also received numerous teaching awards while at Harvard University. Sarkis is the author of many articles and books that have filled important gaps in the history of modern architecture and urban design. These include Circa 1958: Lebanon in the Pictures and Plans of Constantinos Doxiadis, and the edited books CASE: Le Corbusier’s Venice Hospital and Josep Lluis Sert: The Architect of Urban Design (with Eric Mumford). 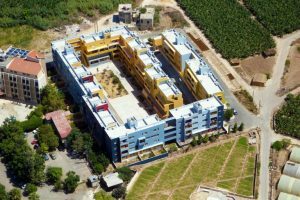 Sarkis was a founding member of Plan B, Institute for Urban Design Studies in Lebanon and the Middle East and the Arab Center for Architecture. He has served on the board of several organizations including the Association for Rural Development in Southern Lebanon. He holds professional registration with the Beirut Order of Engineers and Architects. Dean Sarkis has a Bachelor of Architecture and Bachelor of Fine Arts degree from Rhode Island School of Design and a Master of Architecture from Harvard University GSD. He received his Ph.D. in Architecture from Harvard University GSD for his thesis Publics and Architects: Re-Engaging Design in the Democracy. © 2019 Kosovo Architecture Foundation.